To use, you need to apply it to the skin daily. It absorbs quickly, so there’s no hanging around or waiting to get on with things after use! First and foremost, the scent of the Korres Bergamot Pear Body Milk is beautiful, and thankfully it’s a fragrance that lasts throughout the day. It isn’t too powerful, instead it is quite subtle, but I do find myself sniffing my arm occasionally when I’ve been using it. I think it’s because it’s not exactly common to see beauty products that are pear scented, so to me it makes it stand out a bit more. As well as being happy with the smell, the moisture it provides is great too. It’s not heavy, making it perfect for the warmer weather, but it does provide a decent level of hydration still that leaves the skin feeling silky soft throughout the day. It can be easy to presume that the Body Milk will be quite milky and runny, but one of the first things that you will realise is that this isn't the case here. 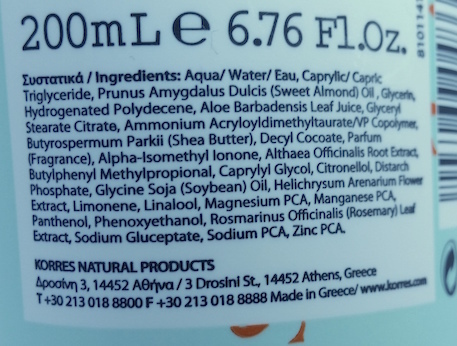 It is thicker than a typical "milk," instead being more like a regular body lotion in consistency. However, it still acts like a body milk with it's fast absorbency speed and light hydration. Thanks to the fact that it absorbs into the skin so quickly I find that I'm ready to go in no time. It also doesn't leave the skin feeling greasy, instead leaving it feeling smooth and fresh. I have to admit, I absolutely love the Korres Bergamot Pear Body Milk. From the smell to the hydration it provides and the way it makes the skin feel, it’s just the best kind of moisturiser for the warmer months. I truly can’t recommend it enough! You can purchase a full-size, 200ml bottle of Korres Bergamot Pear Body Milk for £10 from Look Fantastic (with free delivery!) or for €13.30 from Korres. 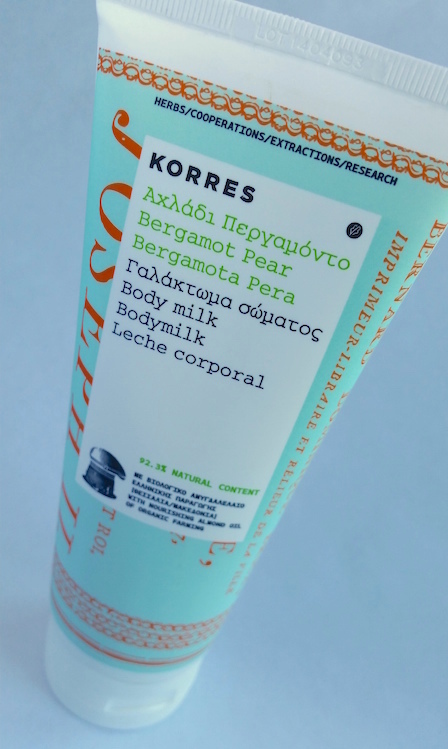 What are your thoughts on the Korres Body Milks? What is your favourite scent? this sounds like it smells amazing!